Takeaway: If you're an employer, it's crucial that you ensure your employees — both new and return-to-duty — are ready for the work at hand. The daunting possibility of hiring the wrong person for the job or the complexities of re-integrating a worker after a lengthy absence weighs on the minds of business managers, supervisors, and human resource departments. Fit-for-work testing provides employers with an added level of confidence that both new and return-to-duty employees are ready for the work at hand. Testing ensures employees are physically capable of doing the job and minimizes the possibility of personal injury, risks to other employees, and financial loss due to damages to equipment or materials. Fit-for-work testing will help to ensure that employees can handle changes in their role, a transfer to a different position, and help manage concerns related to their ability to perform due to emerging or continuing health conditions. Fit-for-work testing is most often initiated by the employer either because of company policy or government regulations. Although some companies may make use of a healthcare professional on staff, the use of independent experts will help to establish objectivity and transparency in an organization’s hiring and return to work practices. Recruitment is an expensive process, not to mention the time and investment associated with training. Finding out that the new employee isn't the right fit for the job once they've already been hired is even more costly, as they are now the employer's responsibility. A fit-for-work assessment for new hires will typically start with a medical assessment. The exam will include an analysis of cardiac fitness, blood pressure, hearing, and vision, to name a few examples. A urine sample may be used to analyze sugar levels and potential substance abuse. 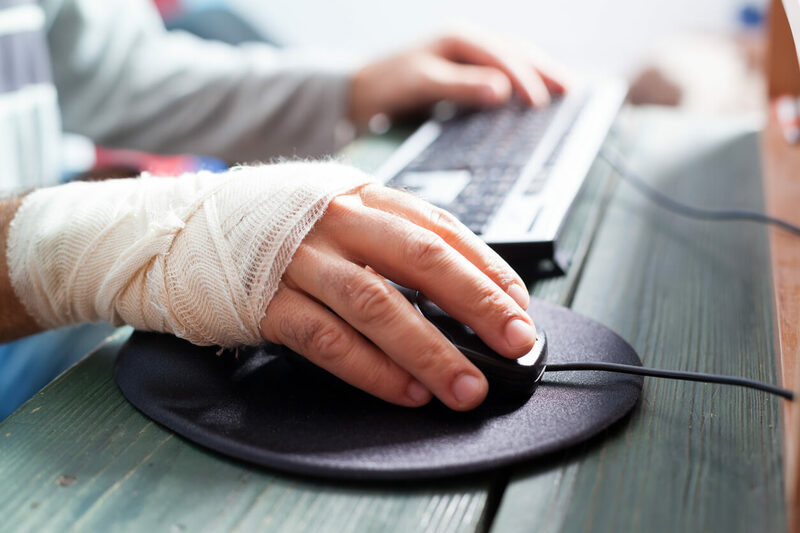 Also, based on the physical demands of the job, fit-for-work testing may also include a musculoskeletal assessment to determine if any pre-existing injuries would prevent a candidate from doing the assigned tasks or negatively affect their health in the future. A physical demands analysis (PDA) by a certified professional should precede the assessment to determine the physical requirements of the job, including a review of strength, mobility, and repetitive movements. In some cases, a psychologist may be necessary to perform a cognitive analysis to ensure the applicant's suitability for employment. Employers are not required to hire any candidate who has failed a fit-for-work test based on a PDA. Training to meet the needs of new assignments. Work as a team with the employee, human resources department, insurers, healthcare professionals and employee association to make a return to work plan that includes task limitations or restrictions and a detailed schedule that will enable the employee to return to regular duties. Ensure that there are several checkpoints along the way to measure progress. If there is conflict in the workplace or the potential of a non-supportive supervisor, it is even more critical to have clear lines of communication between all concerned parties, outlining the return-to-work plan and the expectations of all involved. Ensure that everyone understands the process and that the ultimate goal is to get things back to normal as soon as possible. Changes to the workplace may have occurred during the time the returning employee has been absent. Communicate organizational and workplace changes to all parties involved, and make clear how these changes might affect any fit-for-duty accommodations. Is Fit-for-work testing worth the effort? Fit-for-work testing should be a best practice of your human resource department. Becoming a corporate leader in this area will ensure new and existing employees are in the best possible position for success while helping your company to retain an experienced and skilled workforce. Not only does fit-for-work testing allow your company to maintain or even increase profitability through managed productivity, it also minimizes lost-time and ultimately the costs associated with both employee medical issues and safety-related incidents.